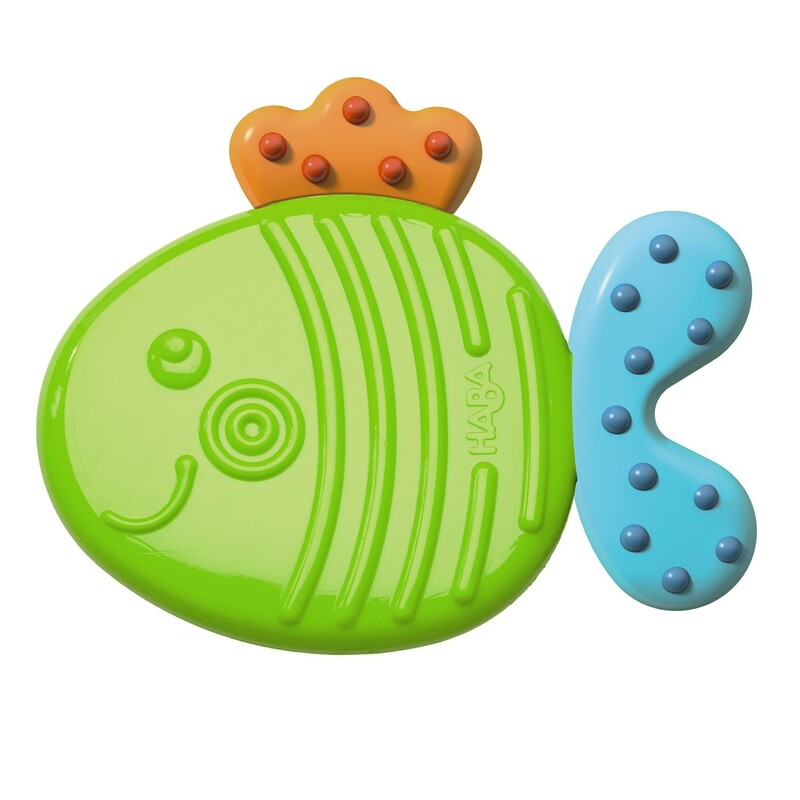 Take a dive into calming waters, with the Clutching Toy Fish from Haba Toys! 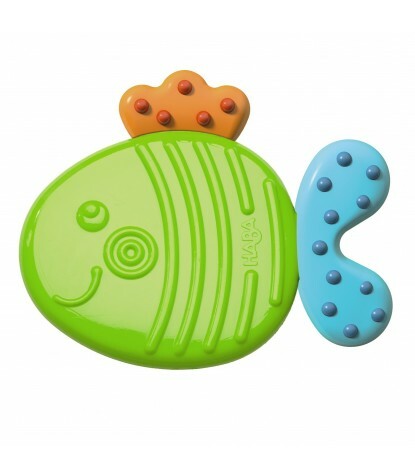 This brand new clutching toy is made from food-grade silicone, with enchanting textures that vary from each section of this fish shaped teether. 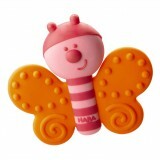 Babies will love grasping, examining, and gnawing on this sweet toy as they learn and discover more about their own senses!